We kick things off with a downtrend still in place, though there were some positive developments last week. 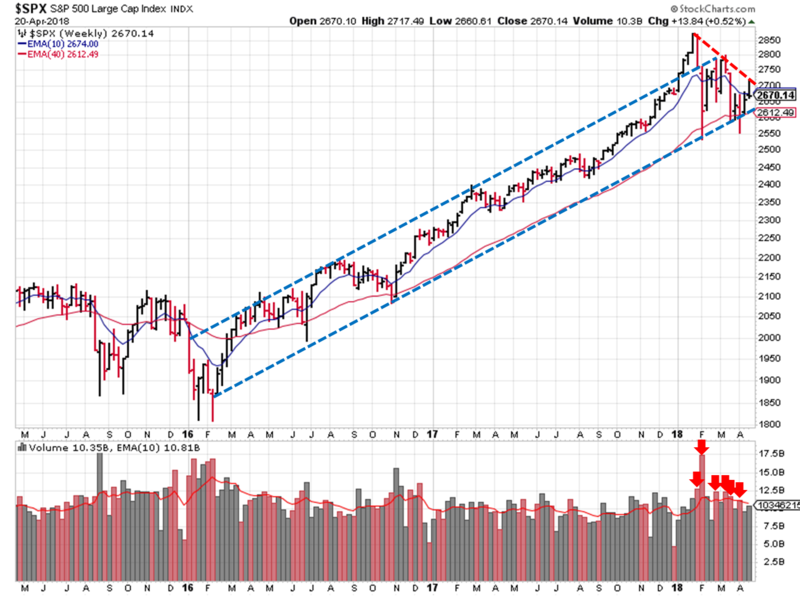 All the indexes were above their 50-day moving averages by Wednesday, only to relinquish that level by Friday’s close. Again, only the Russell 2000 is in positive territory using this indicator. So we start the week in downtrend territory, with the prospect of an uptrend signal just ahead. Price and volume action really is mixed. On the positive side, the markets rose above their 50-day moving average, and it has been 11 weeks since the downtrend started. This means that stocks have had a chance to form good price patterns and should be ready to breakout. 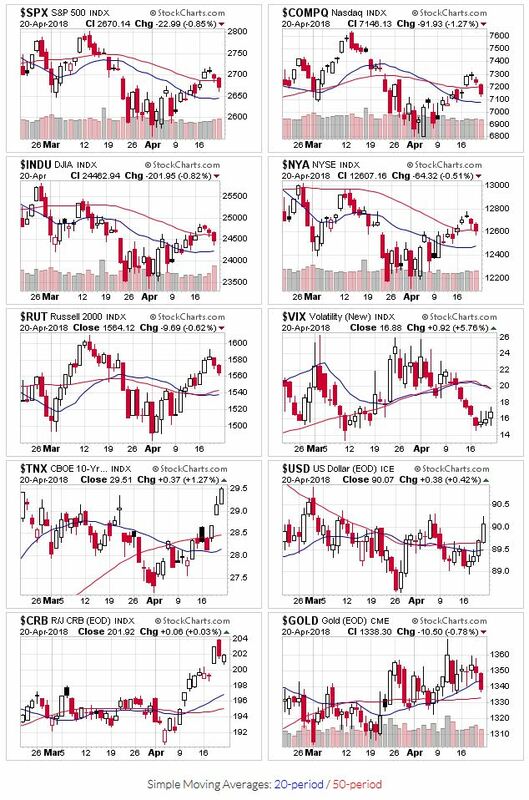 On the negative side, only 4 weeks have past since the second major sell-off in the latest downtrend, so some price patterns likely need another two weeks before their ready to go. Also, all of the higher than average trading volume has occurred when prices have fallen. Friday’s price action put OEW back in downtrend mode, removing the possibility that the latest moves were the beginning of a new rally. The ADX indicator is unchanged from last week; the DI- remains higher than the DI+ (bearish), and the ADX line is flat. S&P prices tested the upper trendline of the descending triangle, but were unable to breakthrough. 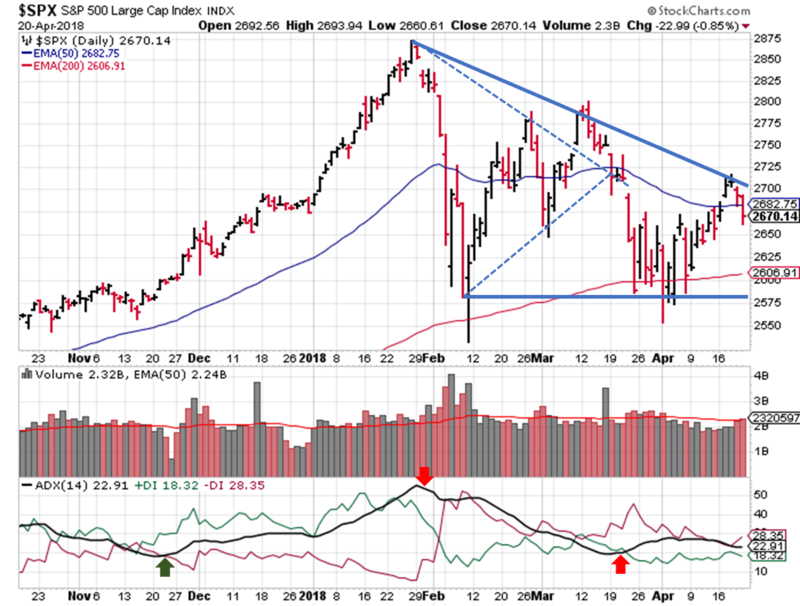 For comparison, the Dow Jones broke through the upper trend line of its own descending triangle last week; a good sign if you were trading that index. Right now, the upper trendline sits just above 2,700, while the patterns floor remains at 2,581. At this point, the S&P would have to violate the longer-term trend (the rising price channel) in order to reach the floor; that lower trendline sits at ~2,600. Earnings season has started up again and we’ve grown accustom to companies crushing analyst expectations. Anything less is now cause for panic sell-offs, so it’s a good time to review watch lists AND current holdings. For growth stocks, I’m on the lookout for double-bottom price patterns. For income stocks, make sure the payout ratios remain within acceptable limits (i.e. less than 60%).